A scaled down version of a customer’s house created with brick textured walls, opening casement sash windows, solid oak door and real slate roof with lead hips and ridges complete with chimneys. The interior has a first floor gallery finished with a custom made fitted mattress and cover. There is also heating and lighting internally. 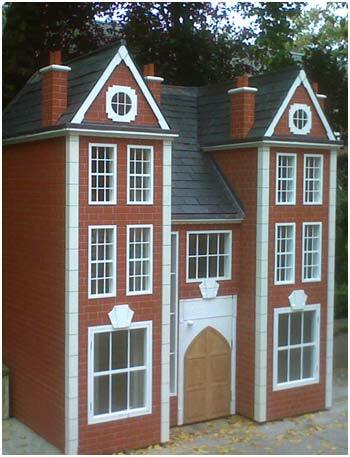 Bespoke Replica houses are priced to order.